On Thursday February 1st, WagonWheel Presents… welcomes Quiet Loner to The Greystones for a performance of “The Battle For The Ballet”. For the duration of 2016 Matt Hill, aka Quiet Loner, was ‘songwriter-in-residence’ at the People’s History Museum in Manchester, resulting in a touring show (and album) ‘The Battle for the Ballot’ that tells the story of the fight for the right to vote in words and song. Support for the evening comes from Sheffield punk poet Kevin Titterton. Advance tickets priced at £6 are available from http://www.wegottickets.com/event/420064 and the venue (12-6pm), or entry on the night will be £8. Doors open 7.45pm. Quiet Loner is the pen-name of singer-songwriter Matt Hill. 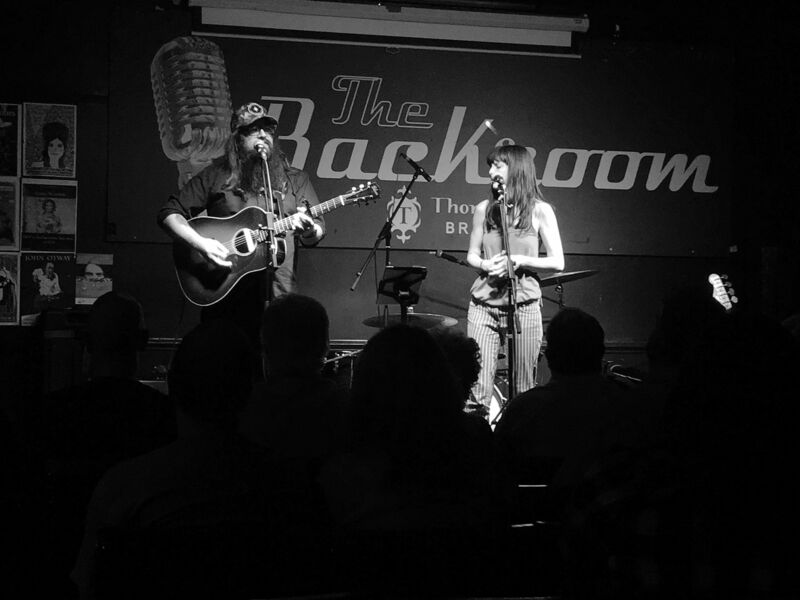 Combining skillful flatpicking with lyrical wordplay, his albums have been praised for their emotional qualities, their honesty and the way they connect with the listener. Inspired by the storytelling traditions of folk and country music, Hill brings a contemporary element to these traditional forms. Over 15 years, 4 albums and hundreds of performances Hill has gained a reputation as an understated yet powerful solo performer delivering a live show that is emotional, political, occasionally angry but nearly always gentle and human. For the duration of 2016 Hill was ‘songwriter-in-residence’ at the People’s History Museum in Manchester, resulting in a touring show (and album) ‘The Battle for the Ballot’ that tells the story of the fight for the right to vote. He’s taken the show to venues and festivals across the country. As an artist Hill is always experimenting to find new ways to present his songs – he uses slide shows and a lecture format, he’s collaborated with walking artist Morag Rose to create musical walks that explore radical history and surveillance, he’s exhibited a song in a gallery exhibition, he’s collaborated on a live show about working class history with poet Tony Walsh, he’s co-written a musical about surveillance, he delivers songwriting workshops and a few years ago even devised a variety/game show format for a song residency. This constant need for evolution as an artist has been reflected in his own recorded output. His debut album was a country heartbreaker and was voted Americana UK Album of the Year 2004. 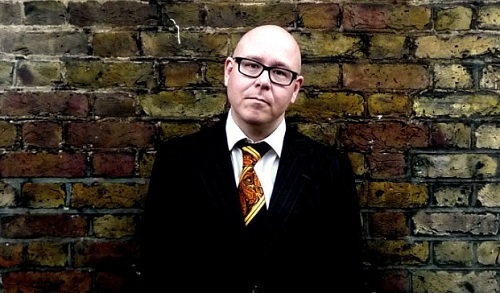 His second album Spectrology (2010) enlisted some top British folk musicians and got 4-star reviews from the likes of Uncut and The Daily Mirror and radio play from Gideon Coe on BBC6 Music. His third ‘Greedy Magicians’ – a very personal and political album – was recorded live in a Salford chapel and took him in a more English folk direction. This led to Hill being invited by Billy Bragg to perform on the Leftfield stage at 2013 Glastonbury Festival where he appeared in a songwriters circle alongside Bragg and Amanda Palmer. In 2017 he was invited to showcase his work at the English Folk Expo. Since 2014 Hill has been curator and organiser of The Defiance Sessions one of the few regular music nights in the UK dedicated to songwriting that has a political or conscientious aspect. In 2015 he was one of the five musicians who founded ‘We Shall Overcome’ an anti-austerity movement that aims to show support and solidarity with those in local communities hit by cuts, poverty and homelessness. 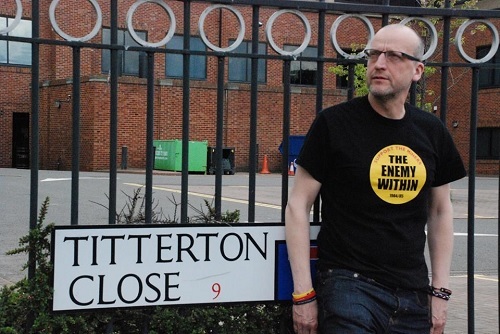 Kevin Titterton is a punk poet from Sheffield, England. Writing about real life, working class struggle and his love of all things music and film.